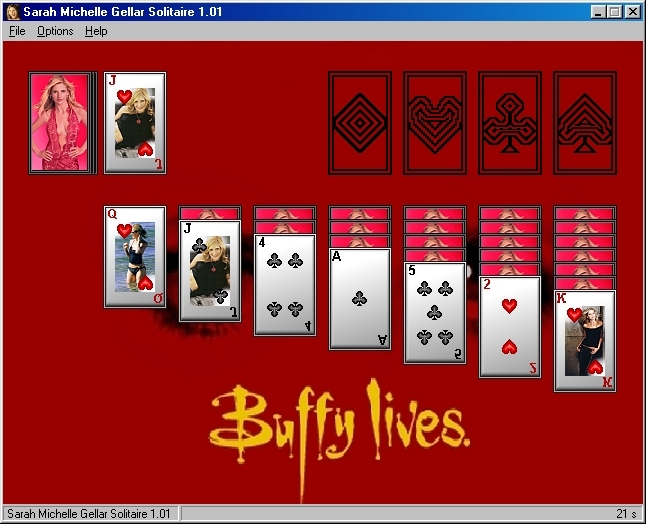 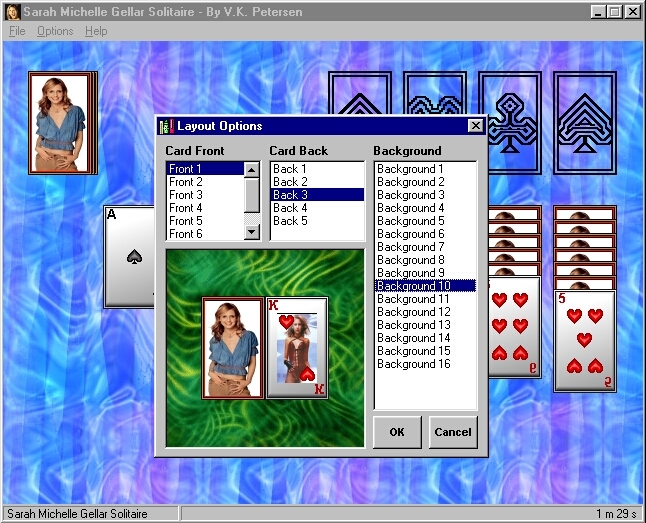 A simple version of the popular Solitaire game Klondike with pictures of the actress Sarah Michelle Gellar, 'Buffy' in 'Buffy - the Vampire Slayer' television series. 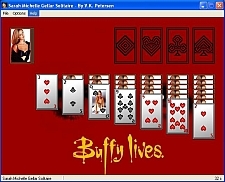 Freeware. 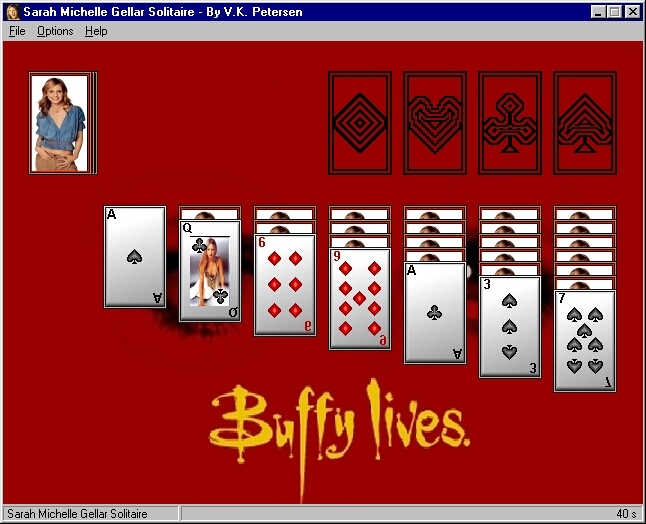 Windows 95/98/ME/NT/2000/XP and Visual basic 6 runtime. 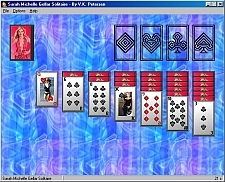 Tested and working on Windows Vista and Windows 7.